کویابا (به پرتغالی: Cuiabá) مرکز ایالت ماتو گروسو در غرب کشور برزیل است. جمعیت این شهر در سال ۲۰۱۰ میلادی ۵۵۱٬۰۹۸ نفر بوده است. ↑ "Topographic Map of New Discovery of the Corner in the Village of Cuiaba". World Digital Library. Retrieved 27 April 2013. 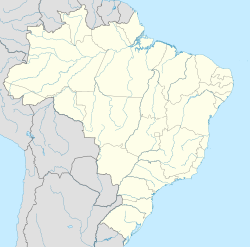 ↑ "Climatological Information for Cuiaba, Brazil". Hong Kong Observatory. Retrieved 26 July 2013. ↑ "Cuiaba, Brazil Travel Weather Averages". WEatherbase. Retrieved 26 July 2013.